Making Saskatchewan like Alberta? Like, rich? The nuclear debate has hit Alberta like a...nah...that's too easy a simile to use. I think the facts are fairly straightforward. Nuclear power is safe (so long as it's not run by communists or Homer Simpson) and, if we're serious about reducing GHG emissions, it's essential. When you look at the cost of nuclear versus the cost of wind or solar, it becomes obvious that we'll never be able to get off of fosil fuels without embracing nuclear power. The new Rhinocerous government's throne speech was read today and it was...about what you'd expect. James Bow has all the other news from their first days in office, while Chucker Canuck speculates on the Tory leadership race, after Harper's resignation and James Moore being named interim leader. -building sloping roads and bicycle paths across the country so that Canadians can coast from coast to coast. The Globe has a very detailed poll out today on perceptions of Stephen Harper. There are a lot of interesting questions in there but the quick and dirty of it is that Harper isn't all that popular with Canadians but Canadians are fairly happy with his government as a whole (at least on the right/track wrong track question). With a lot of Canadians restless and a rare August vote, the results of tonight's vote are certainly up in the air. Safe to say, we're in for a third straight minority government but, despite the latest polls, I think Dion might be able to surprise a few people and eek it out if the undecideds break his way. James Bow is live blogging the results tonight, while Chucker and Saskboy weighed in with their thoughts earlier today. 6:00 pm: I voted today and made a few phone calls to help get out the vote but, let's face it, despite what happened provincially this spring, this is still Harper country. Rather than go to one of the "victory parties" I decided to come home early, crack open the beer and popcorn, and watch the results courtesy of the good people at CTV. 6:11 pm: Libs up 3 seats to 2. Wohoo! We're number 1! We're number 1! 6:15 pm: There's an "other" on the board. I guess this is probably a Green seat since I imagine Lizzie May will win tonight after McKay's sexist slip-up during the campaign. 6:21 pm: OK, now there's a Green and an "other". Did Natural Law make a comeback? NDP also have their first seat up on the scoreboard. I bet 20 bucks at the start of the campaign that the Dippers would win less seats than Canada took medals in Beijing so I'm hoping Jack's team prove to be bigger chokers than our track and field boys. 6:24 pm: Lib 8 Con 3 NDP 3 Green 1 Others 3. Three others? Am I watching an episode of Lost or something? Don't trust them Jack! 7:02 pm: Quebec through Sask have just closed - I must say, I'm curious to see how they go since Atlantic Canadians gave a big thumbs down to both Harper and Dion. Who can blame them - these guys are both so boring I found myself switching over to synchronized swimming a few times during the debates. Hell, these guys were both so boring, I wasn't even ashamed to admit I'd switched over to synchronized swimming. 7:09 pm: Results are starting to flow in. Layton down, Trudeau and Dion up, but it's still early. The Rhino total is now up to 14 which is...troubling. I mean, a few Rhino seats was kind of funny - in the same way Stockwell Day's time as Alliance leader was kind of funny. A lot of Rhino seats is more like a Stockwell Day as Prime Minister scenario...god, we could be the Daily Show punchline for the next four years! 7:23 pm: Rhinos have now pulled into the lead. Rhi 30, Lib 28, CPC 19, BQ 14, NDP 4, Green 1. Ken Dryden has been declared defeated and, true to form, is making comparisons to game 1 of the Summit Series. Layton, Duceppe, and Dion are on in dog fights in their home ridings. I've flipped between networks so this isn't just Duffy going off the deep end...this is for real. Unreal. Oh, and 10 bucks to whoever can actually name the leader of the Rhinocerous Party - do they even have a leader? Or does a Rhinocerous become our Prime Minister if they win? Oh well, can't be worse than Harper. 7:35 pm: Chucker points out that this means, at the very least, 1.5 million a year in taxpayer dollars to the Rhinos. This from a party with a less credible platform than the NDP. James Bow is equally confused and reports that Ignatieff has been defeated, although CTV hasn't called that one yet. Either way, a lot of people will be losing sleep over the results tonight. 7:52 pm: CTV has declared Bob Rae, Martha Hall Findlay, and Justin Trudeau elected...Dion's seat is still too close to call. Duceppe and Layton have both been declared defeated although, the way things are going, they might be happy to be out of politics. CTV and CBC have both projected a Rhino minority but...with Alberta and BC still to come, I wouldn't be so sure about that. CPC could easily pick up 50 seats there which would leave them with a minority...under 100 seats, but a win nevertheless. Good luck building a coalition either way! 8:20 pm: Aberta results are rolling in and Rob Anders appears to be going down in defeat! Hallelujiah! The Rhino stampede has slowed at the rockies, with the Rhinos leading in four Alberta seats and the NDP picking up Strathcona in a bizarre four way split. Looks like Harper will win his seat though...one presumes him and Dion will stay on given the instability of the next Parliament. Rhinos are now up comfortable 135 to 65 for the Tories and will obviously win and should pick up a majority if BC comes through for them. Unreal. Popular vote has the Tories and Liberals at record lows - under 25% each. 8:53 pm: A few recounts are still needed but it looks like...I can barely even type it...the Rhinos have won a majority government. The media are frantically searching for Rhino HQ where Brian Salmi is set to speak. Will he accept the title of PM, or simply have his party resign their seats, knowing this was a joke that went a bit too far? Who knows - we're in uncharted waters now. 10:04 pm: Just finished watching all the speeches. It was hard for all the leaders, Rhinos included, to hide their shock. Harper, Layton, and Dion have all resigned, which means I'll have a lot to post about in the coming year. Given the instability of the rhinos, it may have been a rash overreaction on their parts. Regardless, I'm starting the "Draft Morton" movement for CPC leadership today! Duceppe has also announced his resignation but I think we need to wait 24 hours or so to see if it sticks. As for *gulp* Prime Minister Salmi, he's announced he'll form a majority government. My, oh my. James Bow has the full recap of the weird events of this evening. That's it for me tonight. Excuse while I go convert all my currency into US dollars. -James Bow has a good run-down on how campaign '08 has progressed and Greg Staples has the latest poll numbers up. I'll be joining several other bloggers to live blog the results as they come in tonight so tune in for what promises to be an eventful election! -In the Greatest Premier contest, it's Manning vs Lougheed in the West, and Levesque vs Mowat in the East. I'll be taking a few days off from the contest before resuming later this week. With massive growth pressures over the past few years, there are a lot of important issues worth talking about...however, it appears that all the media wants to discuss for the time being are yellow ribbons. I'm thinking of starting a contest where I'll give a free yellow ribbon to anyone who collects all 27 Calgary Sun front page stories on the topic (contest excluded to City of Calgary employees, for the time being). -I spent a bit of time browsing some of the videos on the Blogging Tories site yesterday. They've got a pretty solid collection for anyone looking to kill some time. -Adam Radwanski's vagabond blog can be seen over at the Globe these days. In his Friday post, he has a good run-down of the whole agents provocateurs fiasco. In the East, Oliver Mowat and Rene Levesque won a pair of nail biters, by 4 and 6 votes respectively. They will meet in the Eastern finals. Out west, the two quarter-finals get under way today and will run until midnight on Saturday night. Game Story: This battle pits the only two of the actual provincial winners left in this tournament, up against each other. Both men defeated NDP Premiers in their first round match-ups, with Lougheed out slugging Tommy Douglas and Schreyer handily taking out Dave Barrett. Ed Schreyer career highlights (Manitoba 1969-77): He introduced public auto insurance to the province in 1971 and expanded medicare to the point that it included the country's first pharmacare and home care programs. His government amalgamated the hodgepodge of communities near the junction of the Red and Assiniboine River into a "Unicity" known as Winnipeg, and proceeded with a major expansion of hydroelectric dam construction in northern Manitoba. Peter Lougheed career highlights (Alberta 1971-85): Ended the Social Credit's one-party rule of Alberta, replacing it with Progressive Conservative one-party rule. During his tenure as Premier, the Alberta Government's major priorities were the control of Alberta's natural resources and their development for future generations of Albertans; participation of Albertans in the mainstream of Canadian life; economic diversification; and the improvement of health, research, and recreational facilities in the Province. In 1976, the Alberta Heritage Savings Trust Fund was established, and a portion of these royalties was deposited as long-term investments to be used to meet unanticipated future needs. Is most famous for his fights with the federal government during the energy wars. Game Story: A pair of SoCred titans from the same era get set to tango in what should be a very close quarter-final matchup. Manning was Premier of Alberta for 25 years, bringing credibility to the SoCred movement after the Aberhart years. Bennett led BC for 20 years, making him the province's longest serving Premier. 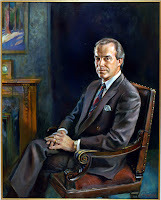 Ernest Manning career highlights (Alberta 1943-1968): During Ernest C. Manning's period of service as Premier, Alberta became Canada's major oil-producing province following the discovery of the Leduc field in 1947 and the Redwater field in 1948. Education, health, and highways were priorities of Premier Manning's Government. In 1947, it legislated free hospital and medical care for senior citizens and, in 1965, provincial civil servants were given the right to engage in collective bargaining. William Andrew Cecil Bennett career highlights(British Columbia 1952-72): Led province into an era of modernization and prosperity; expanded communication lines lines to the north of the province; encouraged pulp mills to establish in the central interior; extended the railway to Fort Nelson; longest serving Premier in BC history. OTTAWA — The Liberals accused the federal Conservatives yesterday of exceeding election spending limits by more than a million dollars in the final days of the 2006 campaign by passing off national advertising costs as money spent by local candidates. Elections Canada is now locked in a court battle with 37 of the candidates who want the government - which returns 60 per cent of the election expenses of candidates who get at least 10 per cent of the votes in their riding - to reimburse them for the costs. Barbara McIsaac, a lawyer for the chief electoral officer, says in a court document that they are not entitled to the money because what the Conservatives call a "regional media buy" was "not an expense of the candidates who claimed it but an expense of the party." "The Conservative Party appears to have perhaps exceeded the national campaign spending limits by perhaps over a million dollars," Mr. LeBlanc said. Schools and language causing divisions. My, how our country has come a long way in the last hundred years. ...when election speculation starts up. The Bloc threatening to bring Harper down over Afghanistan while the Dippers promise to vote against the Throne Speech over Kyoto. Which means we're in for two months of speculation about "who blinks". The reason the dramatic plunge is "believable," according to Olsen, is that "hundreds of thousands of new Albertans don't know the history of Progressive Conservative governments in this province and are spending their time assessing what they see." Yes, you heard that correctly. According to the office of the Premier, the reason Stelmach's poll numbers are dropping is because people are actually looking at the party rather than blindly following the PC brand name. Cameron Strategies has a new poll out and there's a real Alberta stampede of voters away from Ed Stelmach. Still, the news isn't all good for the Alberta Liberals, who can't seem to capitalize on the "free agent voters" out there. The result is a remarkable 36% undecided rate - I don't think I've ever seen numbers that high in political polls. As a result, the potential for one of those once in a generation Alberta political shifts is there...it remains to be seen if anyone is able to capitalize on it during the general election. Yeah, yeah, it's got a massive right wing bent. But, what the heck - they've got Ben Mulroney on the list so it can't be all bad. The 101 People Screwing up Canada blog has counted down from 101 to 2. So, as an open question, who would you pick as your top 5 or numero uno? UPDATE: At the close of voting Tuesday night, it was Mowat by 4 votes and Levesque by 6 votes in two of the closest races to date in the contest. The two men will square off in the Eastern semi. The Western quarter-finals should get rolling later today. 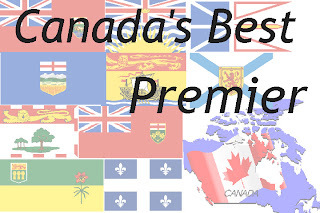 The first round of Canada's Best Premier is done and the bracket has now conveniently broken itself up into a "western side" and an "eastern side". In the West it will be Peter Lougheed against Ed Schreyer and Ernest Manning against WAC Bennett. Those votes will go live mid-week, for now, a look at the two eastern quarter-final duels. Voting will remain open until Tuesday night at 11 pm Mountain time. Game Story: It's because of matchups like this that I love running these summer contests. You have a man few outside of New Brunswick have ever heard of, up against a man who was Premier before anyone voting in this poll was born. And, yet, they would both make for worthy winners of this contest and managed to knock off more famous opponents in the first round. Mowat led Ontario for 24 years near the province's birth and helped get Wilfrid Laurier elected on the national scene after that while Robichaud oversaw the modernization of New Brunswick. This one could certainly go either way. 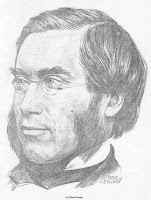 Oliver Mowat career highlights (Ontario 1872-96): As Premier, Mowat fought the federal government over jurisdiction of provincial issues, such as liquor, timber, and mineral rights and won, greatly decentralizing Canada. He introduced the secret ballot and extended suffrage beyond property owners. He also created the municipal level of government in Ontario and the Children's Aid Society. Oh, and he's Farley Mowat's great uncle. Louis Robichaud career highlights (New Brunswick 1960-70): Robichaud became Premier of New Brunswick at the age of 35. Once in office, change was quick and massive. Robichaud's term saw the end of temperance inspired liquor laws, the introduction civil service unions, universal free health care, the creation of 3 of New Brunswick's four public universities, a renewed exploration of natural resources, and most notably Equal Opportunity and Official Bilingualism. Robichaud abolished country governments, resulting in dramatically better health and education for those living in rich cities compared to those living in poor rural counties. Robichaud improved the situation for Acadiens, establishing official bilingualism and l'Université du Moncton. Game Story: This matchup assures us of one Quebec Premier in the final four as the top two finishers in Chucker's Quebec Poll square off. Adding to the intrigue is the connection between the two, with Levesque having served in Jean Lesage's Cabinet. Both men advanced and modernized Quebec society dramatically. 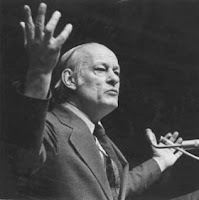 Rene Levesque career highlights (Quebec 1976-1985): Drew headlines around the world with the PQ's victory in 1976 and is best remember for going uno-a-uno with Trudeau during the 1980 referendum. Despite this, he does have a strong domestic accomplishment record with campaign finance reform, Hydro-Quebec expansion, and increased social service delivery. Oh, and he killed a homeless man while driving drunk. Jean Lesage career highlights (Quebec 1960-1966) : Lesage's win in 1960 was a key moment in the Quiet Revolution, ending the Union Nationale's reign. He was subsequently re-elected in '62 under the "Maîtres chez nous" slogan (loosely translated to "master of the house" or "master of his domain"). He was defeated in 1966 because, to be blunt, he was too stupid to redraw the old UN Nationale rural heavy electoral map. During his time as Premier, Lesage brought in massive reform to education, health care, and working conditions. He also nationalized Hydro-Quebec and is generally considered to have caught Quebec up to the rest of North America on both the social and economic fronts, after years of Duplesis government. I signed some papers on Tuesday to help the Wild Rose Party get sanctioned. This was purely in a bid to help strengthen democracy and had nothing to do with my desire to see a competitive right wing party capable to stealing votes from the PCs burst onto the scene. I figured with a credible platform, they'd be able to...what's that? D'oh! The Globe & Mail has an article on Government of Canada computers being used to edit wikipedia entries, thus altering reality. Given the amount of editing that happens on Afghanistan memos by this government, that's not too surprising. -Add an entire article on Gilles Duceppe's 24 hour run for the PQ leadership. Add an "endorsements" section with Gilles Duceppe's endorsements being composed of...Gilles Duceppe. -Add a few extra conditions to the Elizabeth May/Stephane Dion deal. "Stephane Dion agrees to compost at home while, in exchange, Elizabeth May gets the animation rights to a Kyoto the Dog cartoon series." -"Jean-Pierre Blackburn is a member of the Harper Cabinet, although his actual existence has yet to be confirmed by anyone inside or outside of Ottawa since being sworn in last year." -"Stephen Harper has looked positively dashing since hiring a taxpayer funded stylist last year." -"Pat Martin is considered by most to be the one of the best puppeters on Parliament Hill...second only to Stephen Harper." -"Jim Flaherty's 2007 budget ended the unproductive era of bickering between the provincial and federal governments, replacing it with a far more productive era of bickering between the provincial and federal governments. -"Stephane Dion is not a hero. He has never appeared on Heroes. Not even in a guest role. UPDATE: It's Lesage over Wells by a comfortable 204-102 vote margin. Lesage will take on a prominent Cabinet Minister of his, Rene Levesque, in the quarter-finals. In the other match-up, the left wing decided to take up the Grant Devine cause this time but a late surge ended Sanjaya's run, giving it to Ernest Manning in a 673-612. Manning draws fellow SoCred WAC Bennett in the next round. Voting is now open in the final two matchups of the first round, and will close at before midnight Thursday night. The semi-finals will start sometime this weekend. Career Highlights: He is, without a doubt, infamous for his opposition to the Meech Lake Accord (mostly as a response to Québec for Distinct Society). He was one of the few MLAs, which stood firm against Smallwood’s increasingly authoritarian regime. Career Highlights: Lesage's win in 1960 was a key moment in the Quiet Revolution, ending the Union Nationale's reign. He was subsequently re-elected in '62 under the "Maîtres chez nous" slogan (loosely translated to "master of the house" or "master of his domain"). He was defeated in 1966 because, to be blunt, he was too stupid to redraw the old UN Nationale rural heavy electoral map. During his time as Premier, Lesage brought in massive reform to education, health care, and working conditions. He also nationalized Hydro-Quebec. Betting Line: The winner of this round is off to face Rene Levesque in the semis, which should make for a fun federalist/separatist clash, either way. Both Lesage and Wells are quite famous outside their home provinces, making for a too close to call 8/9 battle. Career Highlights: During Ernest C. Manning's period of service as Premier, Alberta became Canada's major oil-producing province following the discovery of the Leduc field in 1947 and the Redwater field in 1948. Education, health, and highways were priorities of Premier Manning's Government. In 1947, it legislated free hospital and medical care for senior citizens and, in 1965, provincial civil servants were given the right to engage in collective bargaining. Career Highlights: Highlights? Well, he was never charged himself in the kick-back scandal that hit his government. Betting Line: Manning got lucky on the seedings, drawing what amounts to a lame-duck candidate in Devine. Expect Preston's daddy to cruise to a second round date with fellow Socred WAC Bennett. 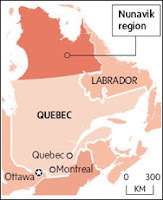 Does Nunavik constitute a nation within a unified Quebec? Would Jean Charest be willing to recognize them as such in the National Assembly? 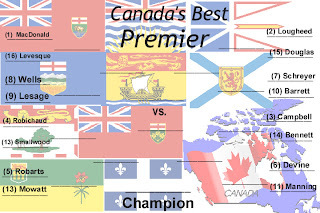 After the predictable wild ride in the Douglas/Lougheed shoot-out, I thought this would be a good time to give an update on the Best Premier contest. First, the clash of prairie titans. Lougheed and Douglas were locked in a tight battle, with Tommy holding a slight lead up until mid-afternoon today when legions of Peter Lougheed fans descended upon this site, sent here by Small Dead Animals. No doubt energized by this article on the Globe and Mail site where Lougheed slams Harper for not holding first ministers meetings and trashes Ed Stelmach and Ralph Klein for neglecting the Heritage Fund, Tories from coast to coast cast a moral vote in support of Lougheed's criticism. Then, around dinner time, the Douglas vote started to climb. Hitting refresh on my computer, I literally saw it jump by about 20 votes a second. While it is possible that NDP members saw the latest SES poll and concluded this might be their only chance at electoral victory in a long time and voted en masse, some snooping around has led me to conclude that this was computerized vote rigging. I was all set to DQ Douglas on this one, but a late surge has pushed Lougheed back in front and on to the next round, where he will meet yet another NDP Premier in Ed Schreyer. The final two quarter-finals matchups will be posted tomorrow, with the semis getting underway this weekend. From every indication, it will be a major shuffle which means I was wrong that it would be a small shuffle, although I was only off by four days on the date. I'm tempted to give myself some credit for successfully predicting James Moore's exclusion from Cabinet but that's about as easy as saying "Rob Anders won't be in Cabinet", so I don't think it should count. Anyways, the swearing in ceremony will be at 4:30 this afternoon. Kady O'Malley seems to have the best mix of inside info and obsessive blog updates, so I'd check her blog out for those of you who are so excited over the prospect of a Cabinet Shuffle that you can't concentrate at work. Early buzz appears to indicate movement involving MacKay, Bernier and Prentice. UPDATE: O'Connor to Revenue, MacKay to Defense, Prentice to Industry, and Bernier to Foreign Affairs. 9 Ministers change portfolio and Ablonczkczxzzzy finally gets into Cabinet. Full thoughts later. Update 3:32pm... Maxime Bernier - probably Foreign Affairs - and his surprisingly hot wife. At least, I hope she's his wife. Update 3:38pm... Okay, apparently *not* his wife. Bernier, that is. I'm thinking girlfriend, though, since now that I think about it, he's a suave divorce. Interesting dating technique: inviting her to your swearing-in. -One reporter wastes a question on toy safety, asking if Steve is concerned about his children. Harper looks confused since, I'm guessing, his kids have never owned toys in their lives. -All in all, I think the big shuffle is a smart move. Mix it up in some troublesome portfolios and get ready to hit the fall with fresh faces, a throne speech, and some new priorities. -Bernier in Foreign Affairs is probably because they'll need him to sell Afghanistan there. And, like Barbara Yaffe said on Newsworld, he's a "good dresser and kind of cute", so I guess he's a logical replacement for MacKay. Two more first round matchups to vote on, as a pair of Atlantic Canadian heavyweights square off in one matchup, and two polarizing figures from the West lock horns in the other. Advancing so far are Oliver Mowatt (12), Ed Schreyer (7), Rene Levesque (16), and WAC Bennett (14). Voting for this round will close just before midnight Tuesday night. Career Highlights: The self-proclaimed "last father of confederation" led Newfoundland into Canada in 1949. He would govern for 23 years with an iron fist, stamping out all opposition by any means neccesary. Like Napolean and Michael Jordan, he twice tried political comebacks, with one being somewhat succesful, and one being a failure. During his time as Premier, he tried to industrialize the province, but most of his projects were failures. Career Highlights: Robichaud became Premier of New Brunswick at the age of 35. Once in office, change was indeed quick and massive. Robichaud's term saw the end of temperance inspired liquor laws, the introduction civil service unions, universal free health care, the creation of 3 of New Brunswick's four public universities, a renewed exploration of natural resources, and most notably Equal Opportunity and Official Bilingualism. Robichaud abolished country governments, resulting in dramatically better health and education for those living in rich cities compared to those living in poor rural counties. Robichaud improved the situation for Acadiens, establishing official billingualism and l'Université du Moncton. Betting Line: With Atlantic Canada 0 for 2 so far in the first round, at least one man from our East is assured a spot in the gang of eight. Smallwood certainly has more name recognition than Robichaud, but Robichaud's record is a lot less controversial. Career Highlights: Tommy Douglas formed the first social-democratic government in North America in 1944. Over the next seventeen years, the Douglas administration established universal medicare, and created a number of Crown corporation including Saskatchewan Government Insurance, Sask. telecommunication and Sask. Power Corporation. The Government passed the Saskatchewan Bill of Rights, passed legislation permitting public service employees to unionize, and set about to reform the judicial system including creating the first small claims court in Canada. Governing during a post-was economic boom, the Douglas government presented successive balanced budgets that led to the province’s large debt being paid off. Career Highlights: Ended the Social Credit's one-party rule of Alberta, replacing it with Progressive Conservative one-party rule. During his tenure as Premier, the Alberta Government's major priorities were the control of Alberta's natural resources and their development for future generations of Albertans; participation of Albertans in the mainstream of Canadian life; economic diversification; and the improvement of health, research, and recreational facilities in the Province. In 1976, the Alberta Heritage Savings Trust Fund was established, and a portion of these royalties was deposited as long-term investments to be used to meet unanticipated future needs. 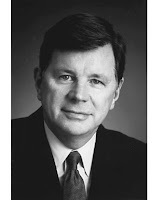 Is most famous for his fights with the federal government during the energy wars. Betting Line: This figures to be the best matchup of the quarter-finals, if not the entire tournament as two titans from the right and left clash. Either one could win the entire tournament and the winner of this fight will probably depend on whether the right, or left, mobilizes their vote more effectively. A lot of Libloggers are getting into the MMP debate. Since political geeks love nothing more than to debate electoral reform, I figured I'd toss open a thread on the topic for people to weigh in. I personally don't have strong feelings on the topic. I've always had a soft spot for the first past the post system, but MMP would likely mean nearly permanent Liberal government in Ontario so I don't have a huge problem with it. UPDATE: Mowat and Schreyer cruise to easy wins. After a pair of upsets in the first two quarter-final Best Premier matchups, the favourites are certainly nervous. Today, I set up two more knock-out rounds. Voting will close Sunday morning. Career Highlights: As Premier, Mowat fought the federal government over jurisdiction of provincial issues, such as liquor, timber, and mineral rights and won, greatly decentralizing Canada. He introduced the secret ballot and extended suffrage beyond property owners. He also created the municipal level of government in Ontario and the Children's Aid Society. Oh, and he's Farley Mowat's great uncle. Career Highlights: During his time as Premier, unemployment rates were the lowest in Canada and Ontario's rate of economic expansion was one of the highest in the world. He was responsible for the construction of York University and the Ontario Science Centre. He also opened the door to French education in Ontario schools. Known for defending provincial rights. He initially opposed Medicare. Betting Line: A rematch of the most exciting provincial battle, when Robarts won in a finally ballot squeaker over Mowat. Can the only 19th Century entry in this contest get revenge for losing the "Best Ontario Premier" crown? This one is definitely too close to call. Career Highlights: Reformed the welfare system; established the province's Labour Relations Board; introduced question period to provincial politics in BC; founded ICBC. Career Highlights: He introduced public auto insurance to the province in 1971 and expanded medicare to the point that it included the country's first pharmacare and home care programs. His government amalgamated the hodgepodge of communities near the junction of the Red and Assiniboine River into a "Unicity" known as Winnipeg, and proceeded with a major expansion of hydroelectric dam construction in northern Manitoba. Betting Line: Barrett's win of the BC contest was a bit of a fluke so in this all-NDP quarter-final, expect Schreyer to triumph. Several Conservative sources suggest the most senior ministries could be in for a housecleaning next week. Prime Minister Stephen Harper has summoned every minister to Ottawa on Monday morning. Sources say Harper could shuffle more than a dozen cabinet positions to put a new face on his year-and-a-half old Conservative government. Several of the most senior ministries are likely to change hands, including Defence, Foreign Affairs, Health and Industry. More than a dozen changes? Uh-huh. In other news, rumour has it that a seven team trade that will see Rick Nash, Jarome Iginla, Chris Pronger, and Roberto Luongo switch teams is in the works. Bold prediction. Gordon O'Connor is gone. And James Moore will probably get screwed over, as he always does. Above and beyond that, who knows? "It's not so much that I want to kill him..."
I've done a blogging powerpoint workshop at Liberal events once or twice and my favourite part of it is the "blogging dos and don'ts". The punchline to that section is "Don't compare Olivia Chow to a dog". Well, it looks like there's a new blogging don't that deserves mentioning. "Don't threaten to kill Stephen Harper"
UPDATE: With the poll closed, the high Maritime seeds have fallen. Levesque squeaked out a narrow 51-49% win, while Wacky Bennett topped Alex Campbell. The next battle will be posted tomorrow afternoon. The first two matchups are listed below. Voting closes Thursday at 7 pm Mountain time. Career Highlights: Drew headlines around the world with the PQ's victory in 1976 and is best remember for going uno-a-uno with Trudeau during the 1980 referendum. Despite this, he does have a strong domestic accomplishment record with campaign finance reform, Hydro-Quebec expansion, and increased social service delivery. Oh, and he killed a homeless man while driving drunk. Career Highlights: Took office during the great depression and, if the good people at wikipedia are to be believed, brought in unemployment relief, old age pensions, collective bargaining, and massive infrastructure projects. After a brief stint in MacKenzie King's Cabinet, MacDonald returned to Nova Scotia where he created the first Department of Education and build several key bridges. Betting Line: Levesque was the great villain for many in English Canada during his career, so expect top seeded, but little known, MacDonald to cruise to a win in this one. Career Highlights: Led province into an era of modernization and prosperity; expanded communication lines lines to the north of the province; encouraged pulp mills to establish in the central interior; extended the railway to Fort Nelson; longest serving Premier in BC history. Career Highlights: Generally acknowledged as a forward-thinking visionary, Campbell had a bigger vision for the Island than anyone who’s come before or after him. 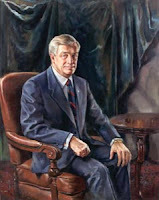 He left a permanent mark on Island politics through the establishment of restrictions of absentee ownership of land, the development of consolidated schools in rural PEI and the establishment of UPEI by combining the two denominational post-secondary institutions that were in Charlottetown. Betting Line: It's East meets West in what figures to be a closely fought race. Anyone nick-named "Wacky" is a bit of a wild card and WAC will need to avoid the last day collapse that saw Dave Barrett knock him off for the title of BC's Best Premier. Campbell's got a great CV, but can the man from PEI win on the national stage? I'll start quarter final voting later today. Well, this figures to be fun. I'm so glad we spent all that money to help re-elect the most federalist Premier from Quebec in Stephen Harper's lifetime. QUEBEC -- The provincial government plans to force the federal government's hand on how it views the division of powers with the provinces and spending, Quebec Intergovernmental Affairs Minister Benoît Pelletier says. Premier Jean Charest's government also wants to finally see Quebec's distinctiveness recognized in the Constitution in a charter of open federalism. Mr. Pelletier said he wants the federal government to be specific in its recognition of Quebec on its national characteristics as well as the limits of federal spending powers. The federal government has already recognized the Québécois as a nation within a united Canada but has never really been clear about what that means. Mr. Pelletier said that instead of being a vague document, he wants the charter to be a blueprint for future dealings with the provinces. He said a charter of open federalism could be a significant contribution to modern Canada and signal the advent of a "much healthier federalism." "If Ottawa is not ready to define the contents of this charter, I am," Mr. Pelletier said. I tell Calgary West MP Rob Anders he is known as the "rock star" of Canadian federal politics. "Gee, I can hardly sing, and I can't play one chord on the guitar," he answers. But, in a very real way, Anders is a political tidal wave. If he and his strategists spot a riding that can be won by a Conservative candidate they go to bat for them. This may well explain why, when some malcontents in his riding launched legal actions to overturn his re-nomination, national party headquarters spent an estimated $250,000 fighting to preserve his status. And they won hands down. He is just too precious to lose. I agree -- I've contended for some time if Harper can win a majority, and he will, he will become a beloved PM of our nation, and will be able to hold the job for as long as he wants. As for the issues, Anders offers this tantalizing aspect. "By the next election we will have cut the GST to 5%, and at 3% the GST would be revenue neutral, giving the rebates to lower income Canadians and business. So we go into the next election promising to abolish the GST entirely." So there you have it. Anders, a winner all the way, revealing how we can win our entire country back. The only province yet to do in the Greatest Premier contest is the nation. Chuckercanuck has set up a poll at his site, with voting open until Saturday. Since Quebec has never been blessed with a neocon or NDP Premier, this one might avoid the usual freeping we saw in other provinces. So I encourage everyone to cast their vote (warning: if you live in a highly anglophone riding, your vote may be deemed to be spoiled for no apparent reason). Pierre Joseph Olivier Chauveau (1867-1873): After doing a lot for education in the province pre-1867, Chauveau became Quebec's first Premier as the "consensus choice" between English protestants and French catholics. From the sounds of things, Chauveau had a tough run as Premier, with a lot of the best talent off helping John A in Ottawa, and the warring religious factions at home making compromise difficult on most issues. After six years, Chauveau decided he needed to do something a lot less stressful and resigned to become speaker of the Senate. Lomer Gouin (1905-1920): Most famous for Gouin Street, Sir Lomer had a pretty good run as Premier, winning four elections. As Premier, he got increased funding from Ottawa, extended Quebec's borders northward, and presided over fairly strong economic growth. With the economy going strong, Goin paid down the debt, improved education, and had a massive push on infrastructure in response to that new fangled "car". On the social front, he opposed conscription (duh), brought in prohibition (damn), and denied women the vote (d'oh). Despite being a pretty good Premier and a worthy winner, Lomer's currently polling at 0% over at Chucker's site. Maurice Duplessis (1936-39; 1944-59): In a recent biography, Conrad Black tried to save Duplessis' reputation which probably tells you all you need to know about Duplessis. Duplessis' authoritarian reign in Quebec is often referred to as "La Grande Noirceur". He gerrymandered the electoral map, restricted freedom of the press and, by and large, staled Quebec's development as province. Deplessis' "winning coalition" that kept him in power was the rural parts of the province, US business, and the Catholic Church, and he shamelessly pandered to all three groups. 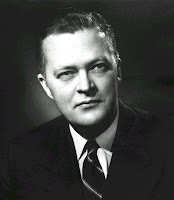 Jean Lesage (1960-66): I voted for Lesage, although he certainly didn't have a lengthy career as Premier, and I could probably be persuaded to move my vote somewhere else. Lesage's win in 1960 was a key moment in the Quiet Revolution, ending the Union Nationale's reign. He was subsequently re-elected in '62 under the "Maîtres chez nous" slogan (loosely translated to "master of the house" or "master of his domain"). He was defeated in 1966 because, to be blunt, he was too stupid to redraw the old UN Nationale rural heavy electoral map. During his time as Premier, Lesage brought in massive reform to education, health care, and working conditions. He also nationalized Hydro-Quebec. Daniel Johnson Sr. (1966-68): Not to be confused with his son who nearly lost the '95 Referendum. Johnson, like virtually every Quebec Premier made his position in the federation clear with his election slogan: Égalité ou indépendance. I'm really not sure what he did during his time in Premier except get beaten around by Trudeau at a First Ministers meeting, which set Pierre up as the guy who will "stand up to Quebec" in the eyes of many future Liberal delegates to the '68 convention. Robert Bourassa (1970-76; 1985-94): The early leader in Chucker's poll. Bourassa's biggest accomplishment during his first kick at the can was to massively expand Hydro-Quebec through the James Bay project. His performance reviews on the October Crisis are usually weak, and he started Quebec on the road to Bill 101, with his Bill 22. Bourassa returned to power in '85, and grabbed headlines on the national stage during this time for his use of the Notwithstanding Clause, and ventures into the Meech and Charlottetown debates. Rene Levesque (1976-1985): Levesque would certainly be an interesting and, perhaps not completely undeserving winner, if he took this contest. 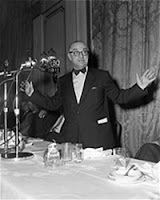 A successful Cabinet Minister under Lesage, the former journalist founded the PQ in 1968. Levesque is obviously most famous for Bill 101 and the 1980 referendum, but his influence on the province wasn't limited to the separatist movement. His campaign finance laws were decades ahead of their time, and his government was the first to prohibit discrimination based on sexual orientation. He moved social services from the church to the state, and completed the nationalization of Hydro-Quebec. Lucien Bouchard (1996-2001): Undeniably one of the best politicians to come out of Quebec but the best Premier? That's a stretch. After a colourful career in Mulroney's Cabinet, the Bloc Quebecois, and the head honcho during the '95 referendum, Bouchard was acclaimed Quebec Premier when Parizeau, well, you know - went insane following the 1995 Referendum result. As Premier, Bouchard brought in the popular daycare program, cut health care, and balanced the books (kinda). However, his refusal to go hard line on the separation question, led to his removal as party leader in 2001. Jean Charest (2001- not much longer): Another former Mulroney Cabinet Minister who was acclaimed his party's saviour but didn't really live up to the hype. The verdict is still out but Charest's term was certainly far from successful. Polls close tomorrow so be sure to get out and vote!